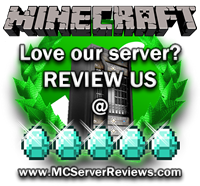 Very new server with experienced admins. Fast, lag free servers with 50 slots. Very simple PVP/Factions software with some economy support. No complications, no useless plugins, no backdoors. Just simply beautiful! Powerful community with friendly staff and a fresh-out-of-the-box feel. We’re looking for active and dedicated players to take us far! 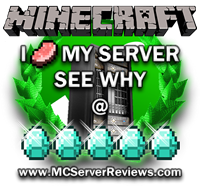 Come enjoy the simply beautiful server of RSR! There are 0 Positive and 0 Negative reviews of “RedStoneRampage Factions Server” sorted by most recent. By clicking submit, you agreed to the rules and are using or have played on RedStoneRampage Factions Server.